SportMaster, and our qualified installers, provide tennis court resurfacing & repair in Ohio. Our company headquarters and manufacturing plant is located on the shores of Lake Erie in Sandusky, OH. We have been producing high-quality sport surfacing products and other specialty coatings for over 40 years. 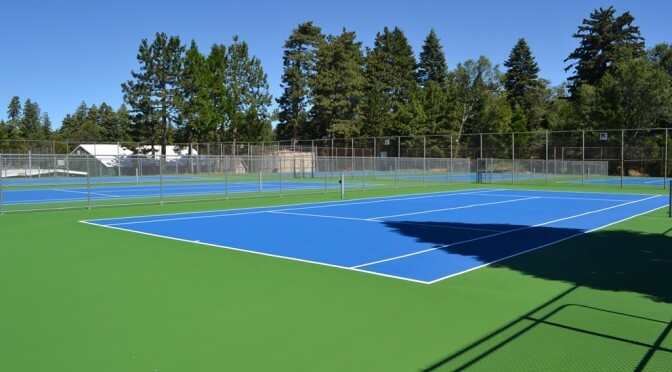 Contact us and we can recommend tennis court builders and resurfacing contractors that are experienced in application of our tennis court resurfacing & repair products, throughout the entire state of Ohio. It is important to take care of any investment, so consider your tennis court an investment in your health, fun, and wallet. Acrylic sport surfacing systems require very little maintenance once they are properly installed. However, our ever changing seasons and harsh Ohio winters can wreak havoc on the asphalt or concrete court surfaces. When water is constantly flowing through the surface and down into the base, the useful life of your tennis court can be substantially shortened. This is especially true when freeze-thaw conditions cause expansion and contraction. This leads to cracking, potholes, and other pavement failures. Our tennis court repair and resurfacing contractors can provide tennis court maintenance in Ohio for a very fair price. Just fill out the “Contact us” form on this page and we will reply with recommended repair and resurfacing professionals that can provide free quotes on tennis court maintenance or construction. 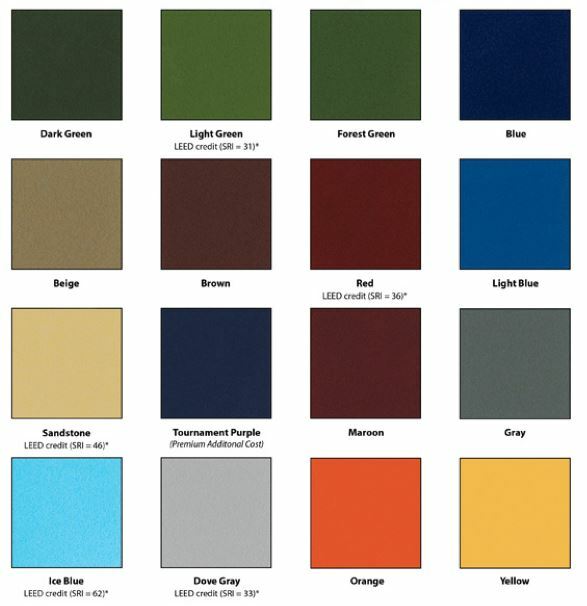 There are a wide variety of tennis court color combinations to pick from in Ohio. SportMaster offers 16 standard colors so there are many combinations and color schemes that you can create. From popular tennis court colors like Light Green and Blue, to traditional greens and reds, the choices are up to you.